There are many Joomla users who are installing SJ Mega Menu on their sites, therefore we always try to work hard to make SJ Mega Menu more helpful to Joomla users. 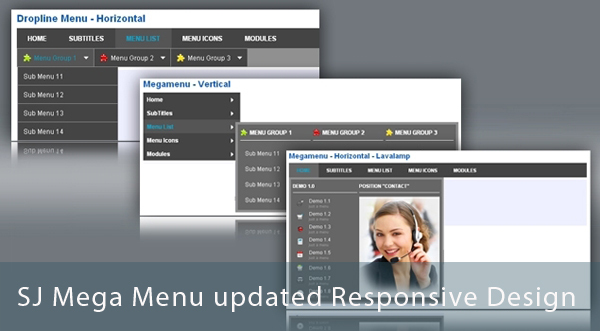 We’re happy to announce that our SJ Mega Menu has been updated and released for Joomla 3.x. The great news that it comes with responsive layout. It will make your sites look amazing in any devices. We hope you enjoy these new features. If you need other improvements or you want to add a new feature, please don't hesitate to share your comments with us. We always work hard on your demands.